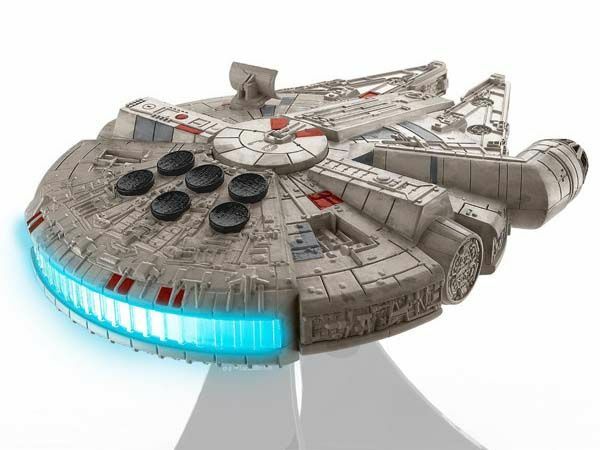 Don’t expect it produces higher quality audio than your 5-channel home speaker system, but the Star Wars Millennium Falcon portable Bluetooth speaker lets you enjoy music in style of Rebel Alliance. Cool? Let’s keep going. This is an officially licensed and pretty cool wireless speaker themed by Star Wars. The portable speaker measures 2 x 7 x 8 inches, and as we can see from the images, it’s shaped as Millennium Falcon, one of the most iconic spaceships in universe of Star Wars, and its compact body shows off eye-catching detailing and accurate tone from its original design. When you use it to enjoy your favorite music, its hyperdrive will light up, showing you charming light effect, and you don’t worry about the spaceship flying away. The portable speaker comes equipped with a 4 watt speaker drive, and built-in Bluetooth connectivity allows it to wirelessly stream audio up to 30 feet from your smartphone or tablet, and using an extra 3.5mm audio input, it also works with any music player with 3.5mm audio jack. In addition, the speaker also plays Star Wars themed tune, and integrated speakerphone lets you make or receive handsfree calls. 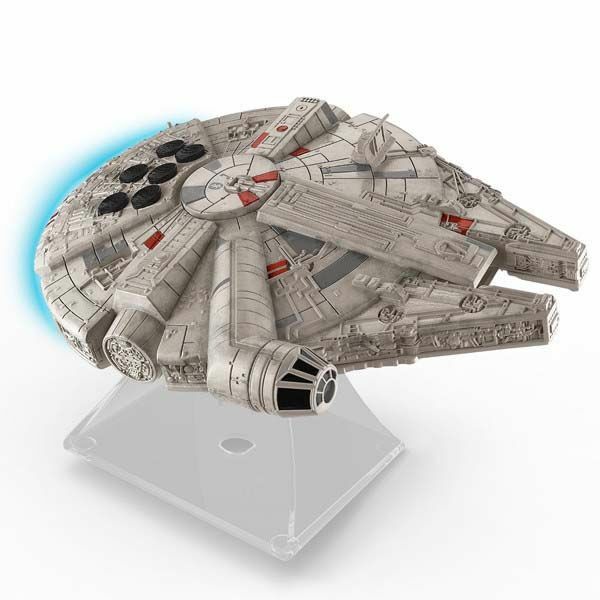 The Star Wars Millennium Falcon portable Bluetooth speaker is priced at £49.99 or $49.99 USD. If you’re interested, jump to The Fowndry or QVC for its more details. Additionally, also don’t miss the Stormtrooper Bluetooth speaker and more related cool stuff by following tags.